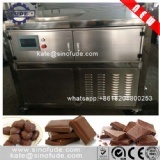 Chocolate Tempering Machine is designed according to the characteristics of the natural cocoa butter. We have CE certificate. 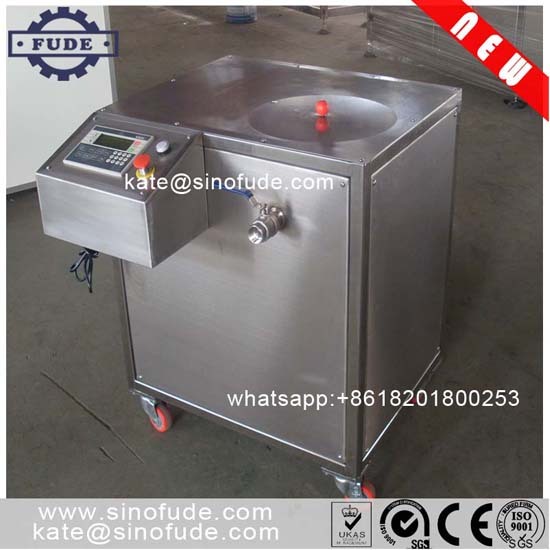 The tempering central consists of jacket tank with deflector and mixing system. According to natural chocolate’s temperature requirements, firstly cooling down then heating up so as to achieve the tempering purpose. The temperature sensor controls the water pump, heater and refrigerator’s switch to let every part act automatically. Tye control precision could be ±1℃. There’s mixing vanes inside the tank, which could make chocolate temperature uniformity.